Public transportation in Sydney are reliable. If you already have Opal card, you can simply tap on and tap off on the pad provided on each transportation. 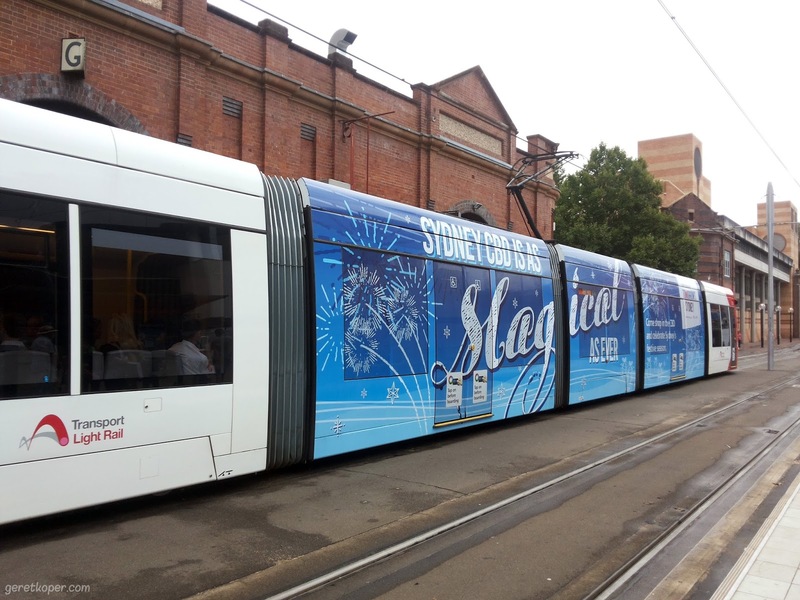 You can travel around by train, bus, light rail and ferry. Most of the tourist attractions can be reach easily using public transportation. If you want to check route and time table you can download mobile apps called TripView lite on your Android phone or Iphone. 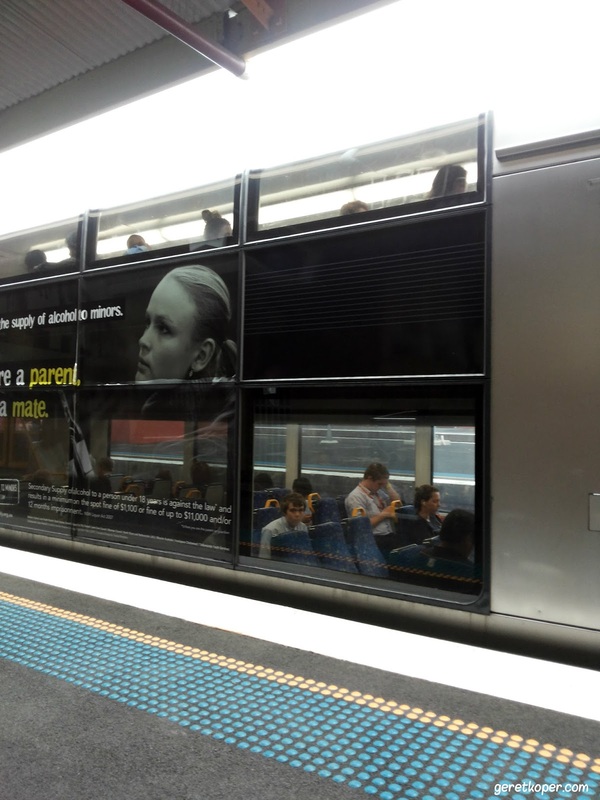 Sydney has double decker trains which has moving-direction seat that reminded me with the one I found in Japan. It also has double decker buses on some routes. You can also bike around the city, there are some bike rental shop near The Rocks and city center. There are many types of accommodation in Sydney, I always be friend with booking.com, Agoda.com or Hostelworld.com for hotels deal. 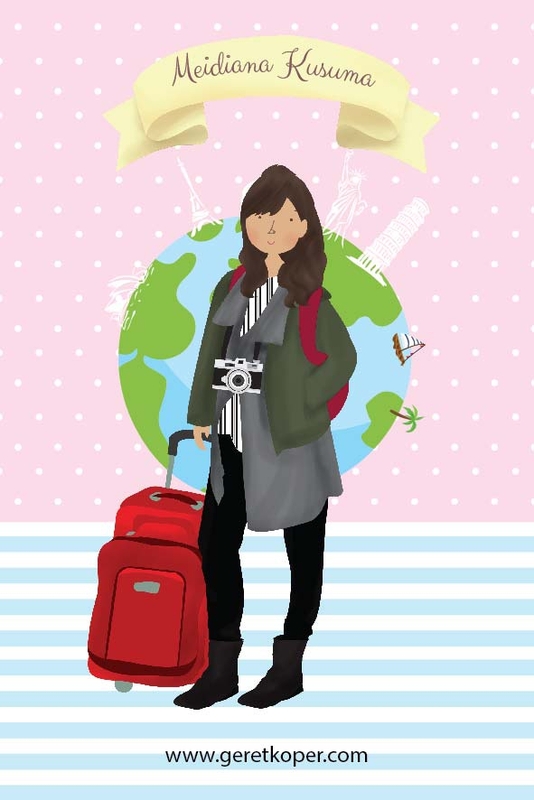 The most favorites one is YHA chain hostel which has around 5 properties around Sydney; Railway square YHA, Sydney central YHA, Sydney harbour YHA, Glebe Point YHA and Bondi Beachhouse YHA. Try to create YHA's membership card for getting discounts and benefits around Australia. 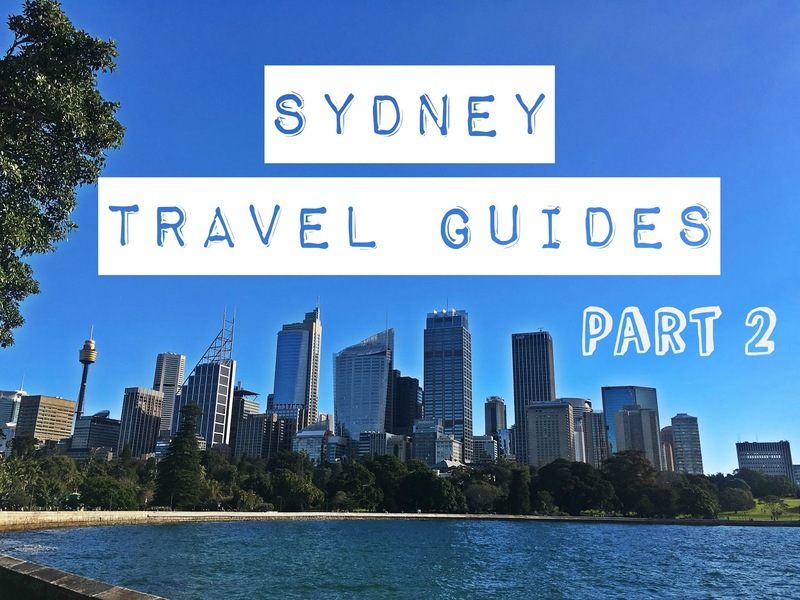 During my first week in Sydney, I ever stayed at 790 on George backpacker hostel which close to Central station or you might want to check for Wake up hostel, Nate's Place backpacker and Bounce hostel too. 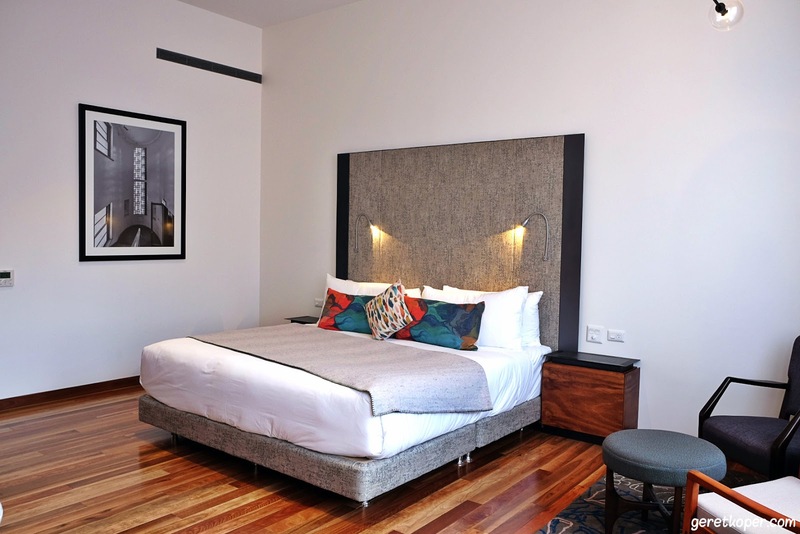 In CBD area there are some Budget hotel like Ibis budget, Woolbrokers hotel, and Sydney Central hotel. There are also big chain hotels like Sheraton, Four Season, Shangri-La, Sofitel and Intercontinental. In case you want to try some others great accommodation than the big chain, I might recommend you to take a look to Ovolo Hotel, Old Clare Hotel, The Urban Newtown, Pensione Hotel, QT Sydney and 1888 Hotel. If you travelling with families and need apartment type accommodation, you can try Meriton Serviced apartment in city area. 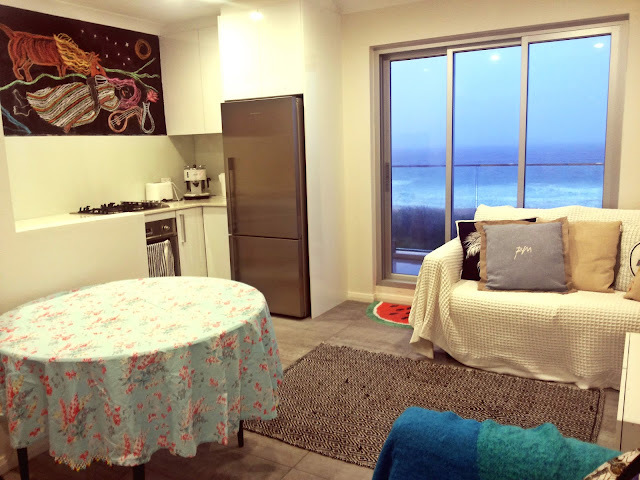 The last if you want to stay as a local, you might one to try book airbnb property in Sydney. I have some experience on staying in airbnb in Pyrmont and Narrabeen area, you can read it here. What and where to eat & drink? This one is quite tricky, if you really want to try local food to be honest I can't named many local food in Sydney as it seems like Sydney surrounded by Asian restaurant. Yes..yes.. Asian restaurants (Japanese, Korean, Thailand, Malaysian even Lebanese) are easier to be found than the local restaurant. I tried to ask some local for suggestion but I just found some. The first food come to my mind definitely this one and this is my must buy item when I visit beach and don't forget to be accompanied by seagull as the perfect frenemy LOL. This snack can be found in many places form specific pie store such as Harry's cafe de wheels, pie face, the pie tin to local supermarket and convenience store like Woolworth, Coles and Seven eleven. It is basically a pie with savory filling like minced beef or minced chicken. 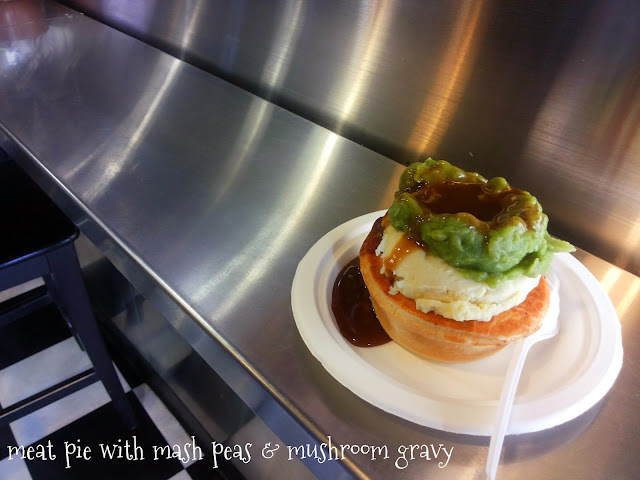 Some of store served meat pies with mashy peas and mushroom gravy, it so yummy. It is a puff pastry with sausage inside and perfect for grab to go breakfast. I found store in Wynyard station which sells sausage roll, meat pies and another pastries with cheaper price starts from A$1. It might sound weird for me, as I never think that Kangaroo's meat is can be eaten and to be honest I still don't brave enough to try some as I always think Kangaroos are cute animal hahahaha. Hey but why don't you try some and explain to me how does it taste? I found these jerky packages in Woolworths and Metro, some people said these are good as souvenirs for families and friends back home but I don't think they have a gut to try it. Here come the most famous spread in Australia and the most hated spread by Australian at the same time (based on my Australian corespondents). I ever tried it once and yesss I don't like it, some of youngster in Sydney said it tasted really good. 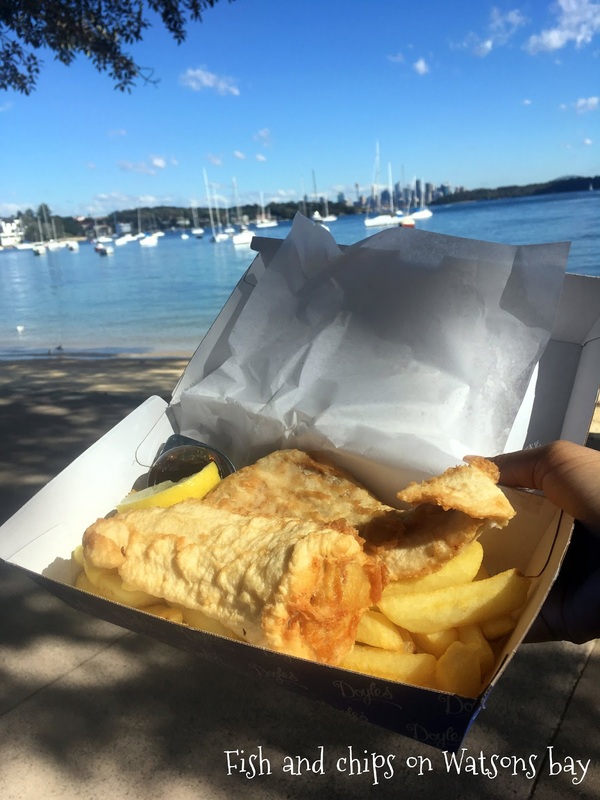 If you curious enough, you should try this spread when you visit Sydney. Sydney is famous for its craft beer, well since I don't drink alcohol I think I can't tell much about it but I have some reference from local for good breweries in Sydney. 4 Pines brewhouse located in Manly area, this brewery serves the entire 4 pines range (Kolsch, Hefeweizen, Pale Ale, Stout and Extra Special Bitter). The Brewing Company located in Alexandria, it has 'Boxer' Red Ale, 'Hangman' Pale Ale, Butcher Porter, 'Governor' Golden Ale, The Convict Lager. Willie The Boatman located in St Peters, famous for its Willie The Boatman range, 'Foo Brew' Golden Ale, 'Todd's Trailer Ale' Pale Ale, 'Crazy Ivan' IPA, 'The Bulger' Pacific English special bitter and many others. You can also find wide range of local craft beer on bottle-o shop (caller for liquor shop in Australia). Lamington cake is basically a sponge cake coated with chocolate and covered with desiccated coconut. It usually can be found in local supermarket like Coles and Woolworths or even in convenience store like seven eleven. When it come to dessert, I will definitely love this dish. Well, it basically a meringue based dessert topped with fruits and whipped cream. This is actually the easiest dessert I can make in Sydney, because you can buy Pavlova based in local supermarket and just add the topping creatively. Ok this is not local food, you can actually find Tim Tam almost everywhere, but here in Australia they have unique flavors. If you come to Sydney, you might want to buy some special limited time flavors Tim Tam, such as Toffee apple, Pineapple, Mango, Coconut cream, Espresso Martini, Pina Colada and many more. Well not only in Sydney, you can also find those flavors on Coles and Woolworths around the country. 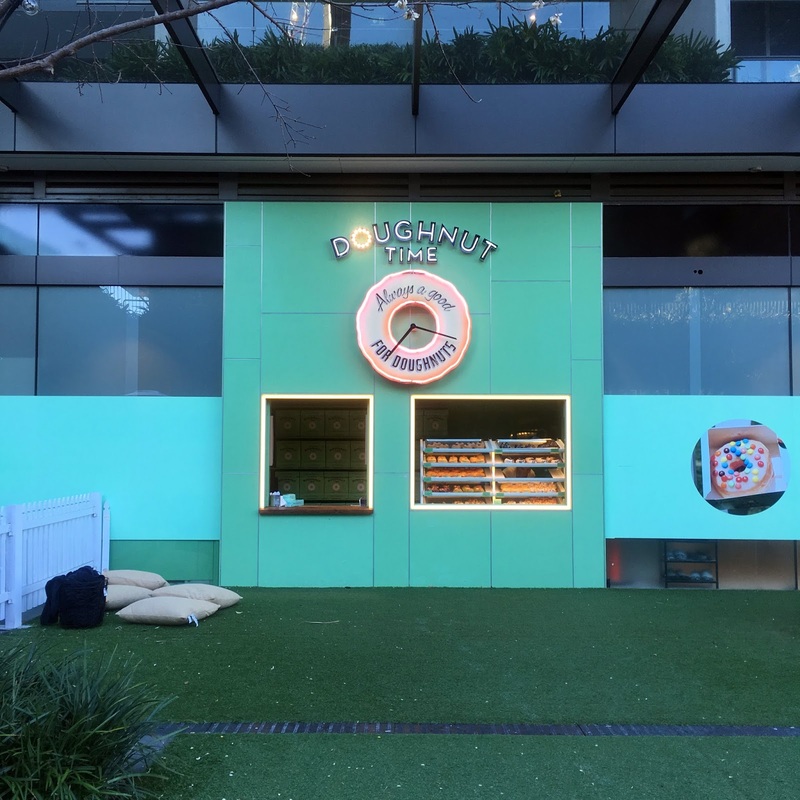 This local donut was originally from Brisbane and spread out to Sydney, Gold coast and Melbourne. It has weekly special flavors and limited area flavors. In Sydney it has special flavor called "Blue Crush" which was exclusive to Doughnut time store in Bondi Junction. I don't know what is going on with Sydneysiders but it seems like gelato has become a habit. Even on windy and winter, you can see line up on some gelato seller. 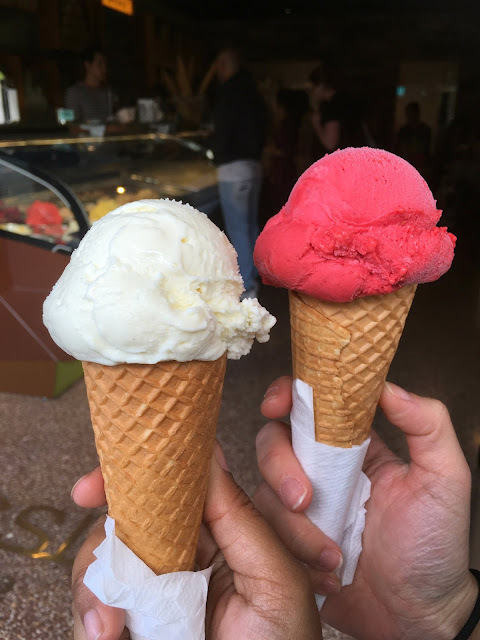 Some of famous Sydney's gelato bars are Gelato Messina (you can find monthly special flavors), Cow & The Moon, Anita Gelato, Ciccone and Sons and RivaReno.